Fuel speed ahead: The fleet goes green US Navy/Declan BarnesCongressional Republicans just got their battleship sunk. Even though House conservatives fought in May to prevent the Navy from spending any money on biofuel, the service last Friday launched its “Great Green Fleet”—the first-ever US flotilla to get underway with mostly nonconventional fuel. But election year jockeying may mean an epic battle over biofuel in Washington this fall. The fleet—technically, an aircraft carrier strike group—is cruising its way to a naval exercise on more than half biofuel, which derives its brew from sustainable biomasses. It’s taking place against a major backdrop: The exercise, known as RIMPAC, is a biennial tradition for 22 nations with big-time seapower. It’s like a global Boy Scout jamboree for sailors with nuke subs and cruise-missile-laden warships instead of merit badges and pocketknives. “The reason we’re doing this is that we simply buy too many fossil fuels from either actually or potentially volatile places on earth,” Navy Secretary Ray Mabus said last month. Mabus plans for the Navy to fulfill half of its energy needs using biofuel by 2020. The economics aren’t much better at the moment, at least not in the military programs. 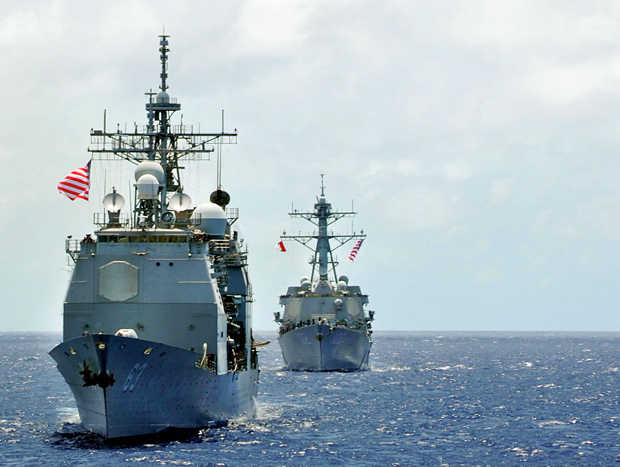 The Navy’s Green Fleet excursion required 450,000 gallons of biofuel from a contractor for $12 million—a cool $26.67 a gallon, according to Reuters. And that’s one hell of a value compared with what the DOD spent on 20,055 gallons of algae-based biofuel three years ago: $8.5 million, or $423.83 per gallon. Put that in your Prius! McCain’s hardly alone. “You’re not the secretary of the energy. You’re the secretary of the Navy,” an agitated Rep. Randy Forbes (R-Va.) snapped at Mabus during a February House hearing. Forbes and his fellow Republicans on the House Armed Services committee have been consistent in opposing biofuel—not over scientific concerns, but budget constraints. If Forbes and his fellow critics are really concerned about oxygen in the atmosphere, they’ll have extra time this summer to offer some thoughts on how to reduce military fuel consumption. The Senate Armed Services Committee quietly tacked a similar ban on biofuel spending to its proposed defense budget, but a congressional up-or-down vote on the budget still hasn’t been scheduled—and when it happens, it’s likely to be messy and acrimonious. And with the Great Green Fleet underway in the Pacific, biofuel opponents may just find that their ship has already sailed. Should Beef Be Used As Biofuel?